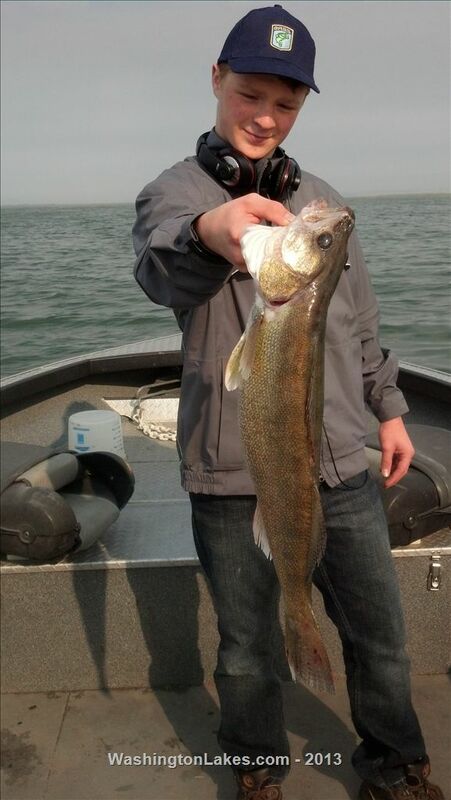 Our walleye fishing has been going very well. Cooler fall weather and 50° nights signal the bite is on as the fish feed up for winter. This is also the time of year for the smorgasbord catch, you never know what is on the end of the line till its at the boat. 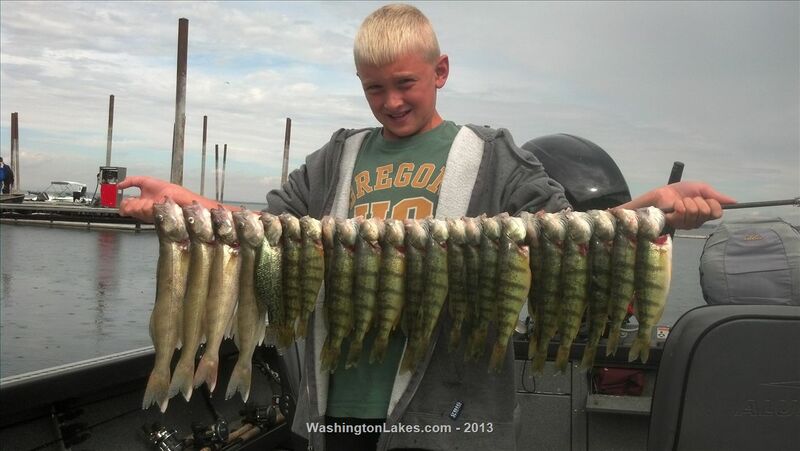 Expect a mixed bag of walleye, small mouth, largemouth, perch, a few giant crappie, trout, and blugill. Its a great timeto get out one more time and the action is nearly none stop! Today was a bit tougher walleye bite after a massive front rolled through last night taking trees, and the electricity out for a bit but we still caught over 50 fish in total. I have a few scattered openings throughout September get here and reel em in! One note of unpleasantness- if your an internet troll here to whine about someone else catching fish, keeping fish, eating fish, or holding a fish in someway that offends you maybe you should actually go fishing rather then sitting on the internet in your mothers basement telling everyone else how they should be doing things. Sorry for rant. It does get old reading a post about someone that catches and retains fish according to the rules, only to have some know it all spew forth a bunch of garbage about how keeping fish will damage a fishery, or how you should hold a fish more carefully for a photo. Heck, some even get on here and tell you it's too hot to catch a certain fish and shouldn't be done or they shouldn't catch a certain fish with an certain kind of rod. Blah blah blah blah, all in the name of calling themselves experts. I'm no expert but if someone asks me for advice or tips on how to catch a fish that I may successfull at, I'm glad to help them out. I say if someone on the website wants to dog another member for their actions, they should confine their whining to a PM or an email. Leave the website to what it is more than likely intended for. Bragging about the fish you catch and sharing information on how and where you caught those fish. Is that not why this website was created??? Catch um, bonk em over the head and smoke/eat em'. There I ranted! Love to eat quality fresh fish. "Catch um, bonk em over the head and smoke/eat em'. There I ranted! Love to eat quality fresh fish." Nicely put, AJ'sdad et al. Taking fish within reason and limits helps balance populations, and tastes reallllllly good! I usually release a couple thousand fish a year, but I take some home also. I figure when they've tossed back more than I have, I'll pay attention, till then, nada. Nice perch! And I experienced the same kind of Smorgasboard downstream. Well said, from the report to the responses. In any case, since the person that posted the comment only wants to read reports, he won't be needing an account to post comments. If you catch my drift.